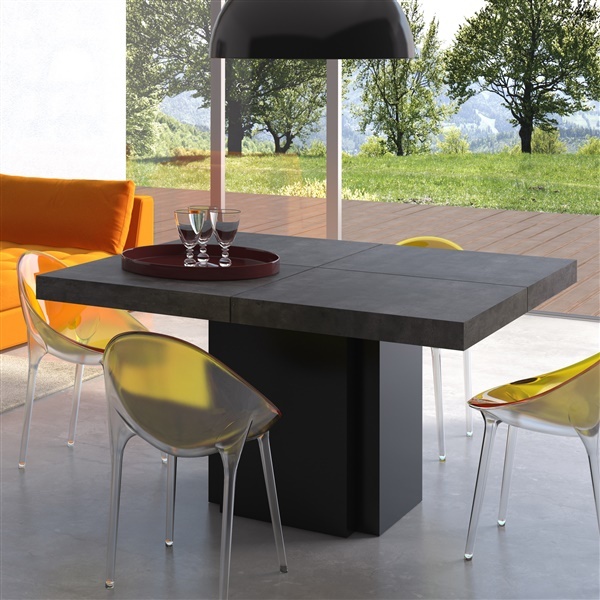 The Dusk 51" Dining Table features modern lines and a sleek style that will enrich any dining area. Lightweight yet durable, this table is beautifully constructed of medium-density fiberboard with honeycomb core construction. Rather than the traditional four legs, this sophisticated piece features a central stand for increased appeal. Its available in your choice of color and finish to complement your taste and existing decor, adding elegance and a touch of class to your modern home.